Thanks so much. This is one of my favorites because I love trees so much! Really love how you do these – I tried myself and they were nowhere near as beautiful! The first few were a disaster! 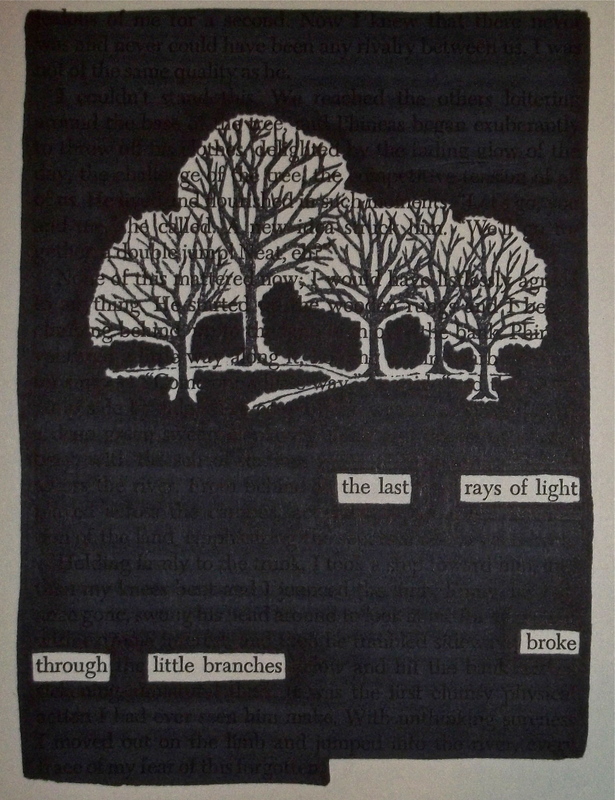 However, the nice thing about black out is you can cover up the mistakes pretty easily and you still end up with a nice plain piece of black out poetry. Amazing. You have so much talent. Only just learned today about this type of poetry, it’s lovely! Thanks! 🙂 Keep exploring haiku – it’s a beautiful form. Haikus can be great. I have bashō next to my bed!